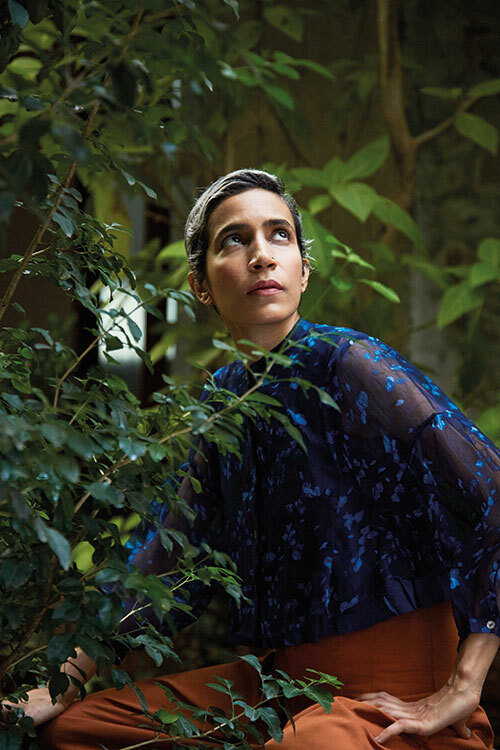 Silk sari, from Abraham & Thakore, New Delhi. Taffeta top, from H&M, Mumbai. Silk organza blouse, from Anavila; gabardine trousers, from H&M. Both in Mumbai. 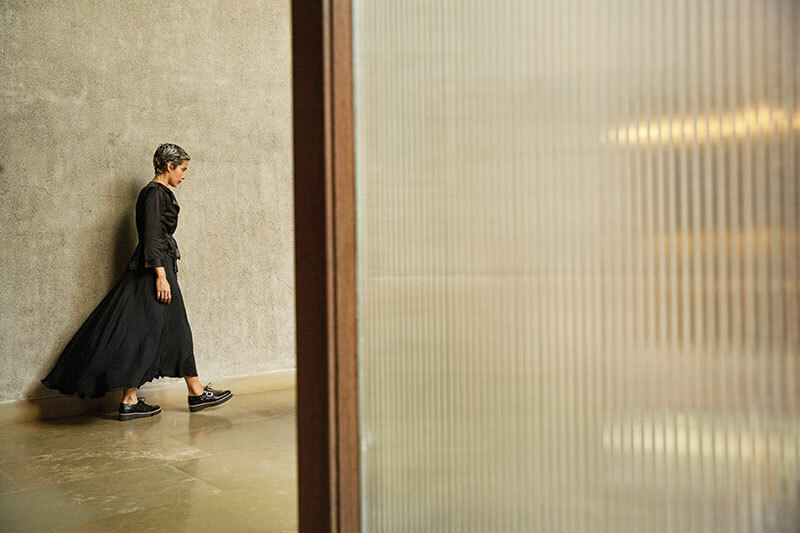 Wool jacket, crushed cotton top, twill trousers, all by Divyam Mehta, New Delhi. Konstantina leather flats, by Christian Louboutin, Mumbai. 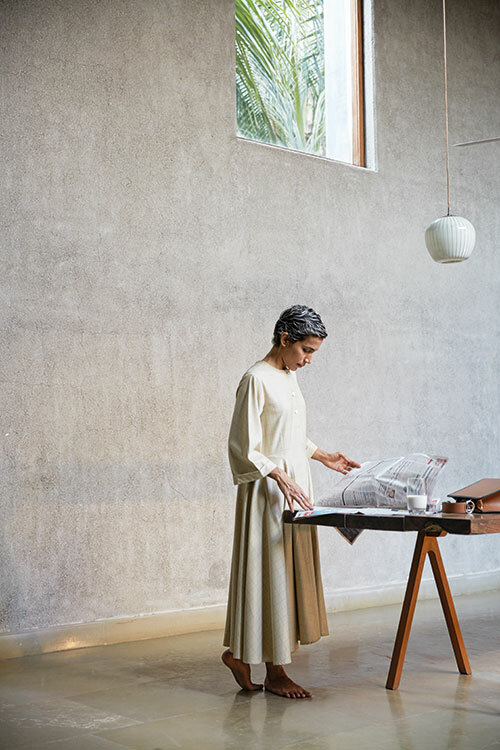 Silk twill peplum jacket, from Integument, New Delhi. Silk crêpe skirt, from Shift; faux leather brogues, from Zara. Both in Mumbai. 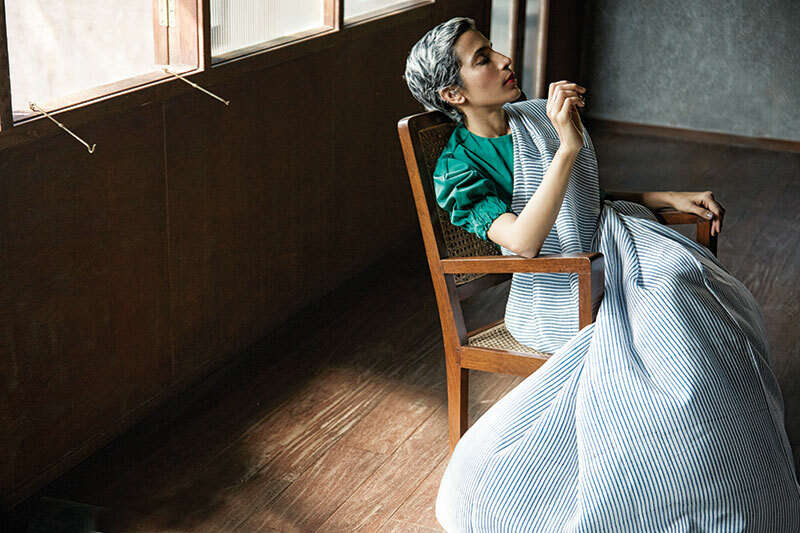 Cotton churidar, from Abraham & Thakore, New Delhi. Taffeta dress, from Dior; Imali Jasmine sandals, from Clarks. Both in Mumbai. Cotton midi-dress, from Lovebirds; Runaway bag, from Fendi. Both in New Delhi. 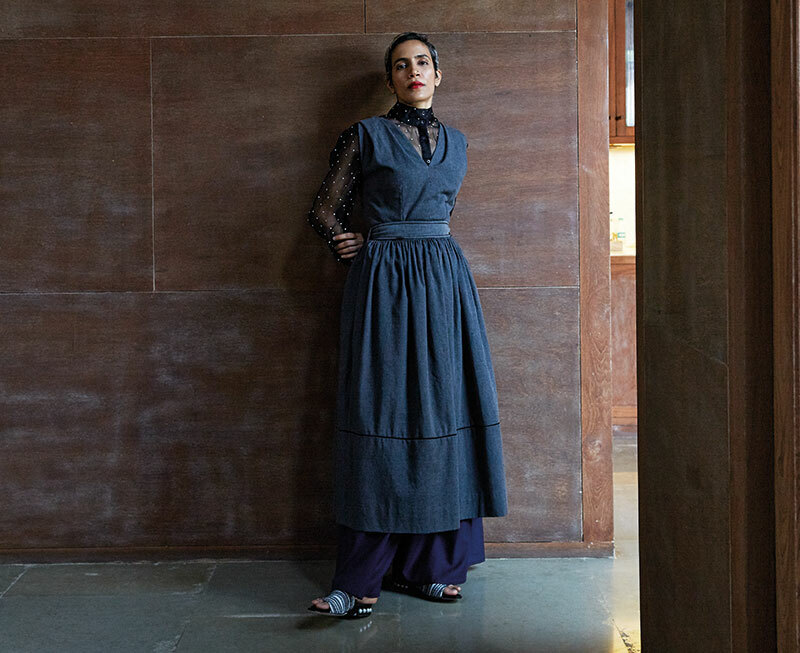 Silk organza kurta (worn as top), by Rajesh Pratap Singh; twill pants, from Anaam. Both in New Delhi. Wool dress, from Shift; tweed mules, from Zara. Both in Mumbai.